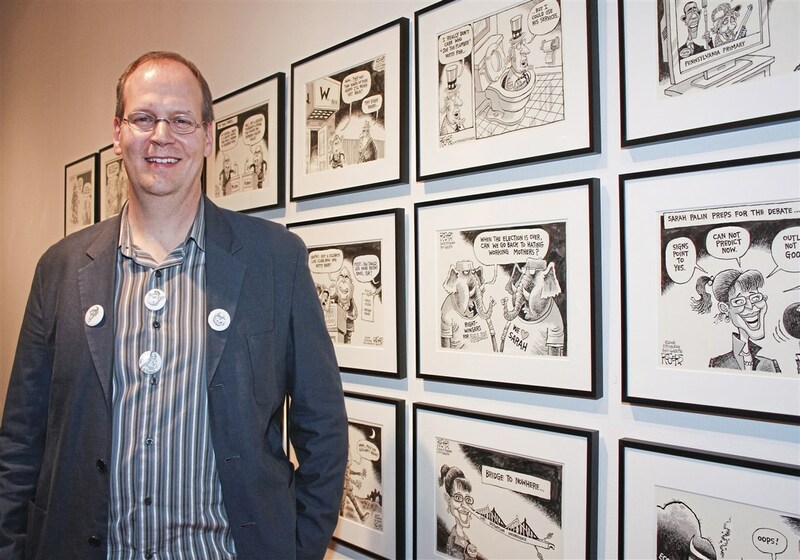 Pittsburgh Post-Gazette editorial cartoonist Rob Rogers says he has been fired. Rogers’ cartoons haven’t been published in the newspaper since late May. The award-winning cartoonist said the Post-Gazette publisher wanted more conservative, pro-Trump cartoons. He told KDKA political editor Jon Delano last week nineteen of his ideas and cartoons have been rejected since March. Rogers said he was willing to cooperate with the publisher “to a degree,” but he wouldn’t draw cartoons he disagreed with. 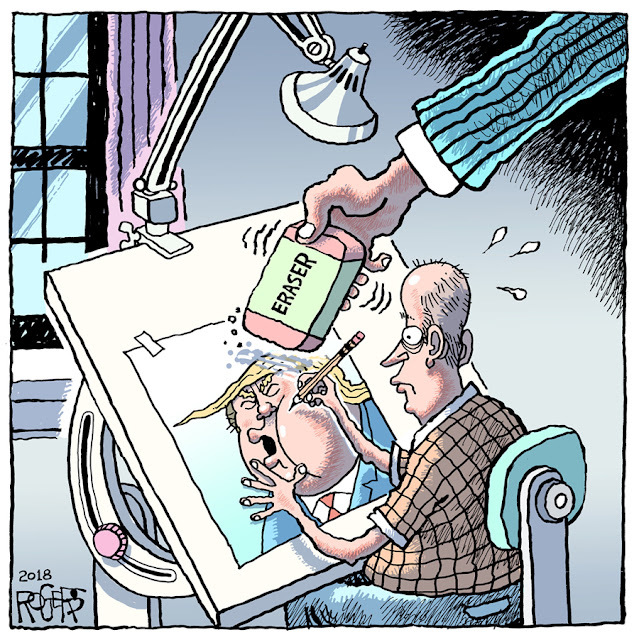 This is precisely the time when the constitutionally-protected free press – including critics like Rob Rogers – should be celebrated and supported, and not fired for doing their jobs. This decision, just one day after the President of the United States said the news media is ‘Our Country’s biggest enemy,’ sets a low standard in the 232-year history of the newspaper. I’ve known Rob a long time. That has never stopped him from publishing cartoons that are critical of me, of my policy positions, or of my actions (or inactions) in office. He’s even made fun of my weight. The Post-Gazette has not yet released an official statement. 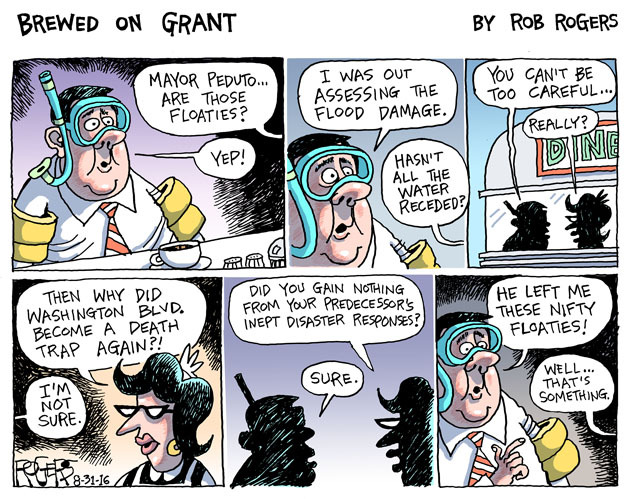 "Pittsburgh Post-Gazette fires editorial cartoonist Rob Rogers"
"Why does a Pittsburgh newspaper keep killing cartoons making fun of Trump?" on CNN. "Ten Anti-Trump Cartoons The Pittsburgh Post-Gazette Refuses To Publish" on The Nib. "An American editorial cartoonist has been fired for skewering Trump. He likely won’t be the last." 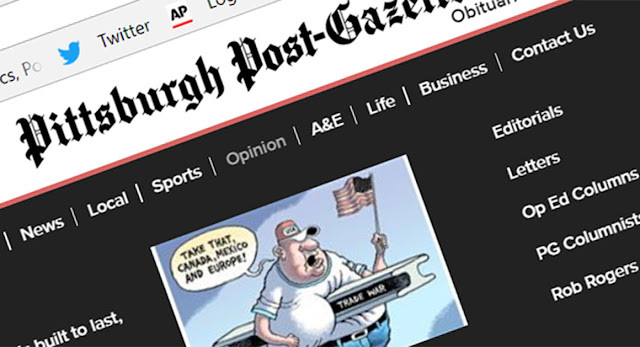 Management of the Pittsburgh Post-Gazette just demonstrated disdain for their readership and lack of concern about declining circulation by firing their cartoonist of twenty five years, Rob Rogers. Rogers is one of the best in the country and his cartoons have been a wildly popular feature of the Post-Gazette. Readers looked forward each morning to opening their papers to see Rogers' latest pointed commentary. Rogers' fortunes recently took a turn when Trump acolyte, Keith Burris, was hired as the new editorial page editor. Burris promptly started killing Rogers' cartoons that were critical of Trump. The publisher, John Robinson Block, issued a statement that spiking Rogers' cartoons had "little to do with politics, ideology or Donald Trump" when obviously it had everything to do with all three and in its brazenness, displayed a penchant for Trump-like lies. Expect the Post-Gazette to issue a statement listing their reasons for Rogers' dismissal. Expect it to be filled with more lies. It's as simple as this: Rogers was fired for refusing to do cartoons extolling Trump. Let that sink in. The firing of Rogers and the absence of his cartoons from the editorial pages is a blow to free expression and to the existence of a free and open marketplace of ideas. "I Was Fired for Making Fun of Trump", Rob Rogers in The New York Times.